Fall events are coming up fast. 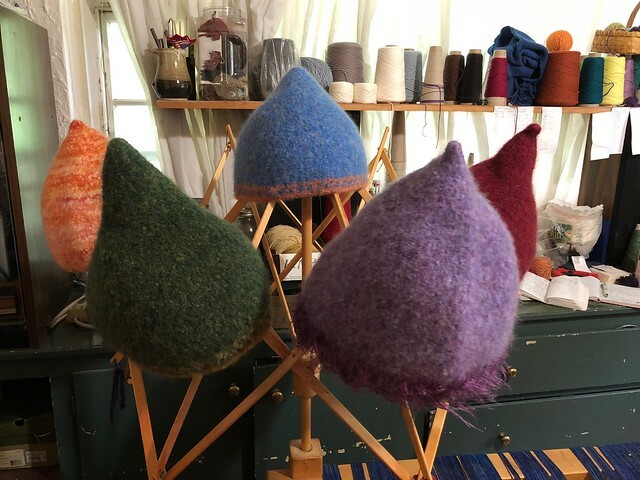 First, Shenandoah Valley Fiber Festival, St. James Court Art Show, LEAF, SAFF and FaerieCon. Three of which require a minimum of 50 hats each. So off to the races! Supplies are low. It's almost to the point where you can have any hat you like as long as its gray. Today we had adventures in supply chain issues. A firm I have been doing business with for 20 years decided, out of the blue, that everything must be in writing. I lost a day getting the internet to work. The computer goes on strike when its over 90° because it no longer has a functioning fan. Email sent. Two days later, "oh, by the way, we need your FEIN number". I email the number as requested. Nope. "We want all your paperwork with personal information sent by unsecured email". Nope. I won't do that. You can have a copy mailed to you, no problem. So another 4 days will go by. I am a week behind now. And I am no longer your loyal customer. Chuck, Denise, why did you have to retire and leave me with this new person who is so full of herself? Obviously, they no longer want my business. But all my hat shrinkage rates are based on their yarn! Breathe. It hurts because another supplier started out this way and now refuses to sell to smaller companies. I have PTSD. Not my first rodeo with this modern approach to marketing. I really hate whatever school is teaching this crap. You don't gain customers unless you entice small shops and rural areas to like your product. That starts with shop owners. If you can convince them that your product is the best, then they will in turn sell your product to the rest of the world. Okay, the old lady will stop grumbling now. Hopefully it will all work out. Meanwhile, I started with what I have. First, the lack of Viking hats must be addressed. 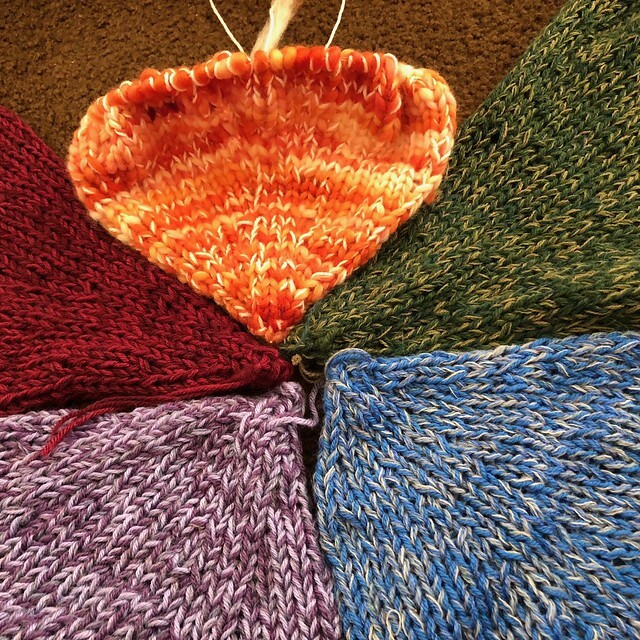 It still amazes me that I can knit five hats identically and each will be a different size when finished. Looking forward to a complete color wheel of hats. Black yarn comes in with the delayed yarn order. Yellow/gold is next on the needles. Brown needs to be carded and spun. So burgundy, orange, gold, green, blue, lilac, black and maybe brown. So on to fall bookkeeping and show planning for next year. Working with spreadsheets. Not much to show. Also happening: Natural dyeing is ongoing while yarn lasts. 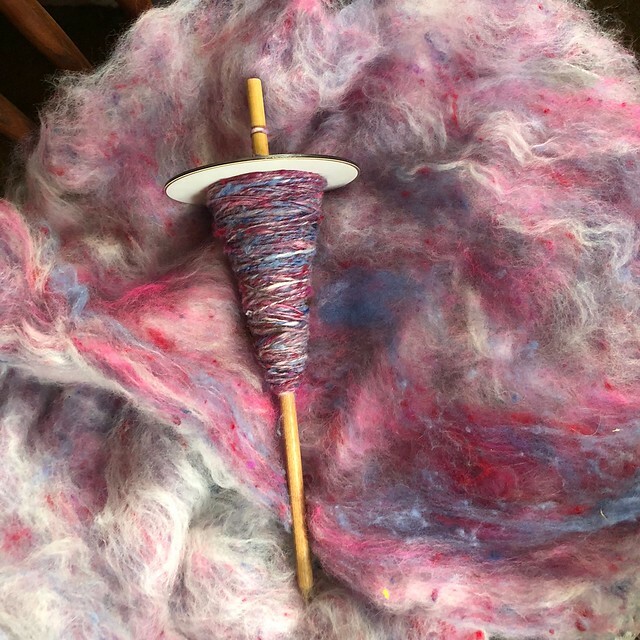 Spinning to make up for not being able to buy as much yarn as I need to make hats. 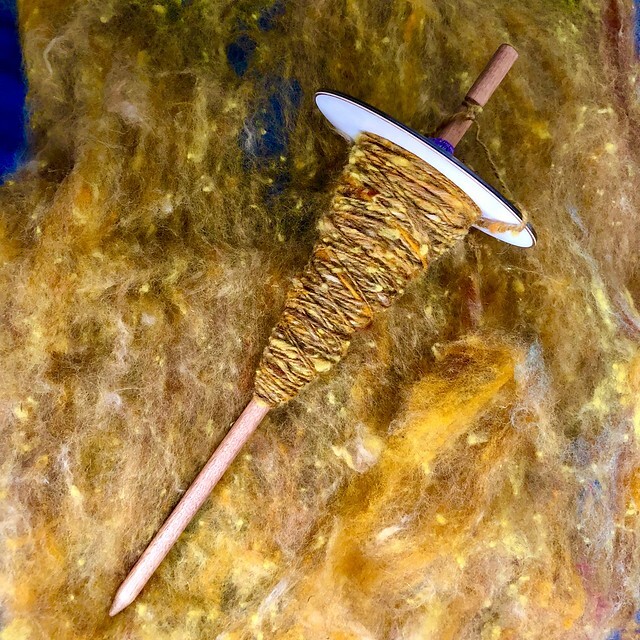 Spinning happens when my arms get tired of knitting. Once I have a full rainbow of Viking hats, I will move on to what we call Chico hats. A basic peasant hat with a brim, named after Chico Marx. Since most of those in stock are very small, its time to upsize them. I also have a client wanting a custom version, so these will happen soon. Then I start on classic bowlers. 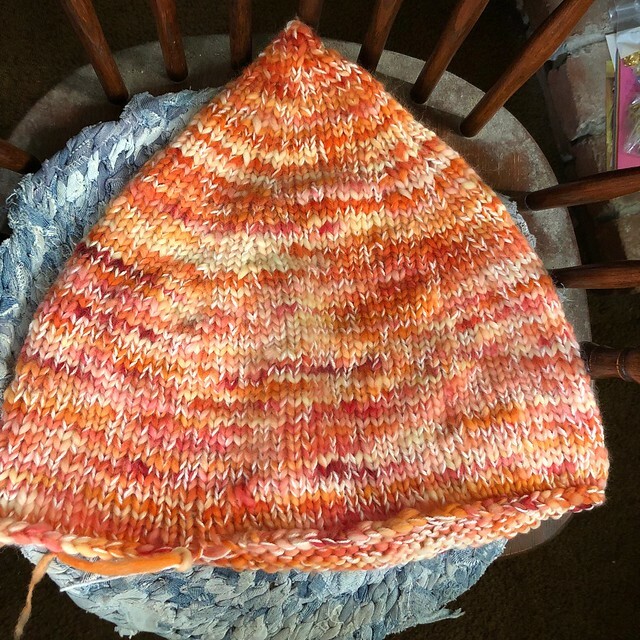 Each hat can take four to five days to make without causing repetitive muscle strain. Deadline is looming, October 4th/5th ish. Wish me luck! The dye baths will be a separate post. I am experimenting mad scientist style. Wait and see what happens. Another garden post should be along shortly as well.